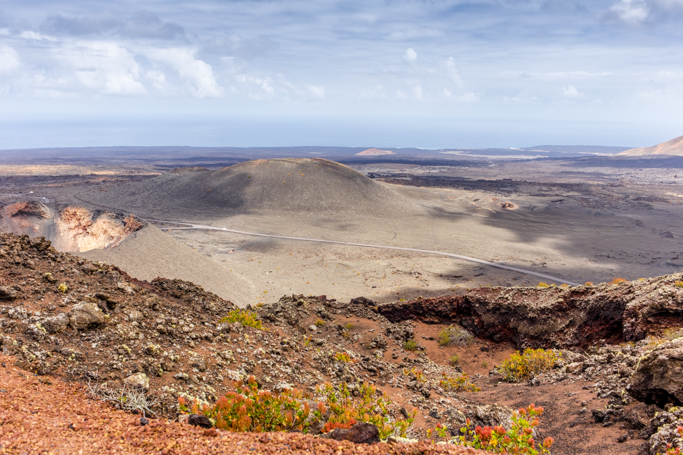 Lanzarote was always a place I'd distantly heard of, but never put much thought into. 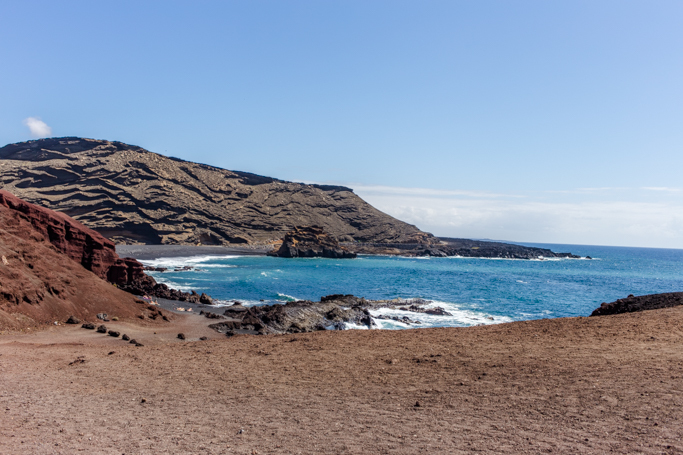 Vague memories of it being a party island, and somewhere immensely popular in the 90s, I knew very little about Lanzarote before I went. I presumed it was a hot, tropical kind of island. I was very wrong. 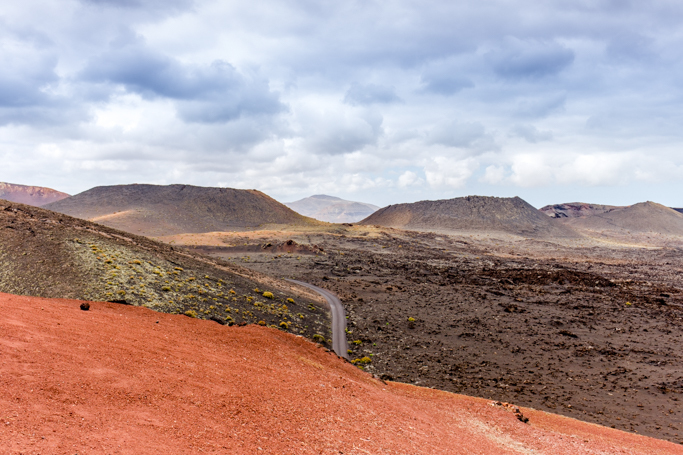 Lanzarote could almost be mistaken for Mars with it's orange tinted lands. 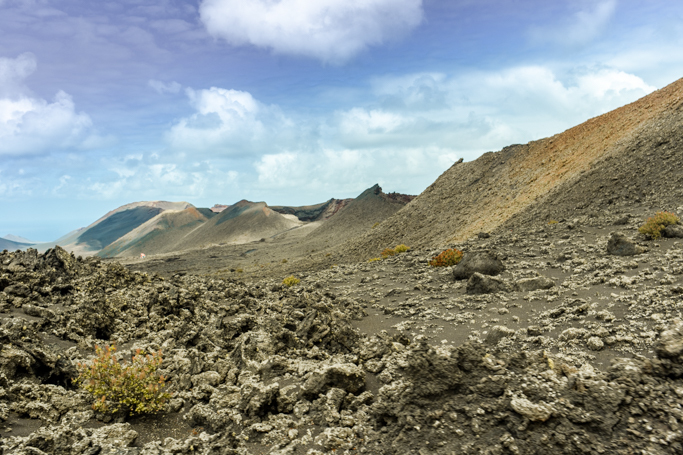 It's a volcanic island and was created from these eruptions millions of years ago and formed from the remains of lava streams, leaving behind vast rocky terrain and an almost out of space look. 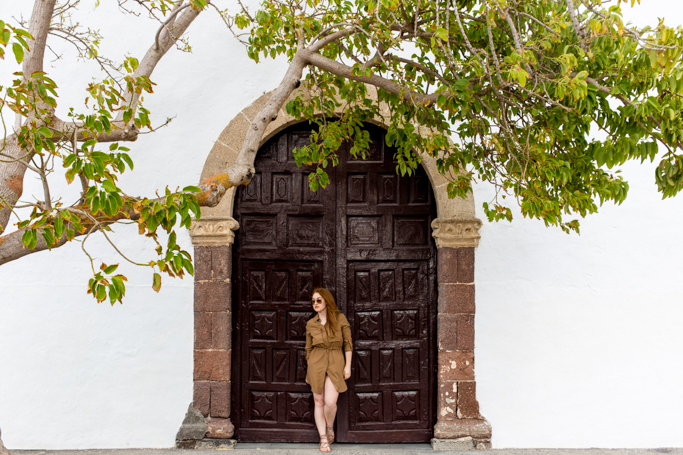 I was invited to go with Thomas Cook Airlines and discover this misunderstood country. 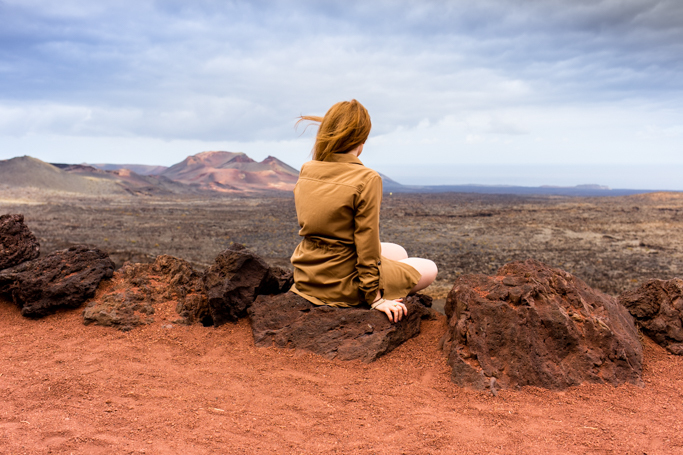 So hopping on a plane, I arrived, along with my fellow blogger explorers and headed out to Timanfaya national park. It's not your usual national park of pretty wildlife and trees, but it catches your breath in different ways. The sheer vast landscape makes your feel very small indeed. 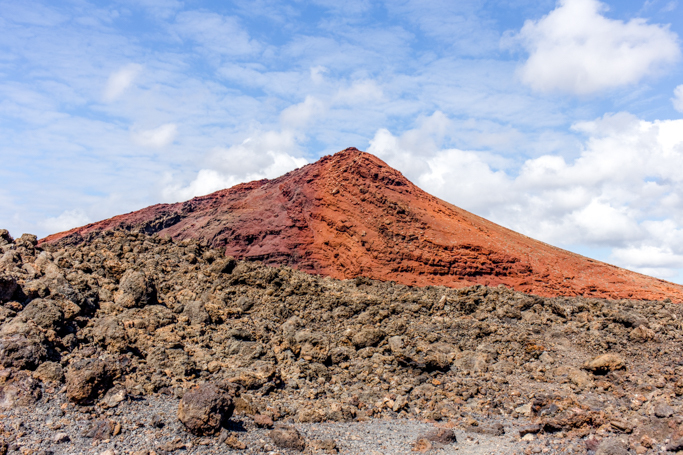 To explore the national park more, you need to hop on a bus, as people aren't allowed to walk through the volcanos. Even if they play rather sinister tour guide music throughout (See my Vlog at the end of this post to understand)! 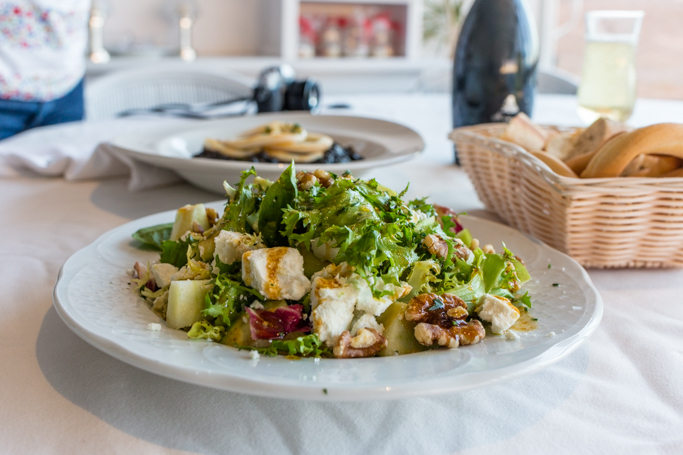 Eager to see another side of the island, we stopped for some lunch by the sea. 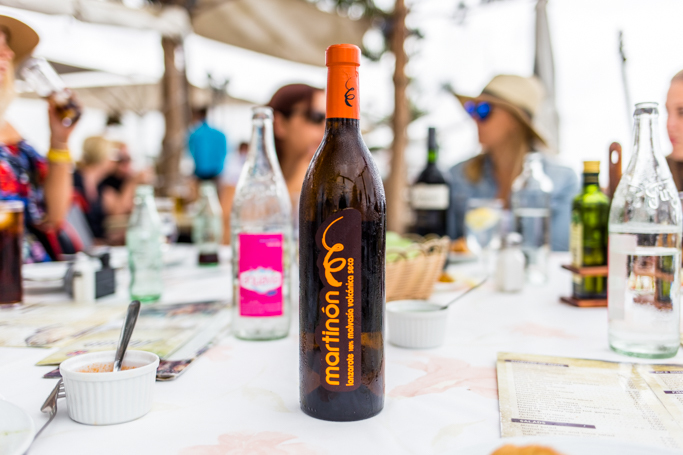 When you go to Lanzarote, you must order Lanzarote wine. They are huge wine growers (which I'll get onto in my next post) and their wines are delicious. I had forgotten how much I love summer clothing. I'm praying London get's some more good weather, so this dress isn't relegated to the wardrobe. 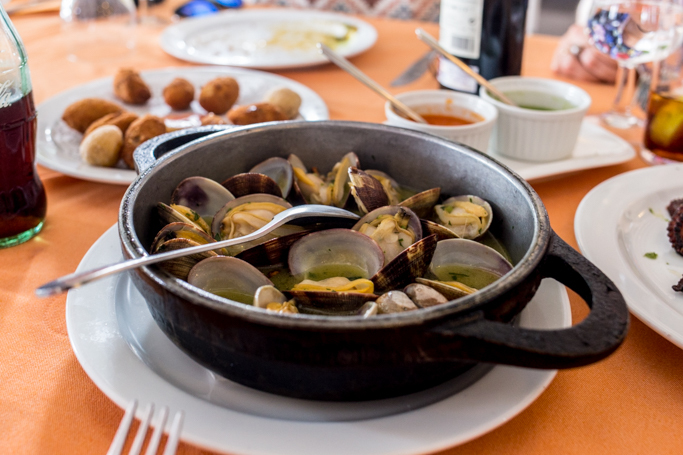 Of course we had to have seafood. 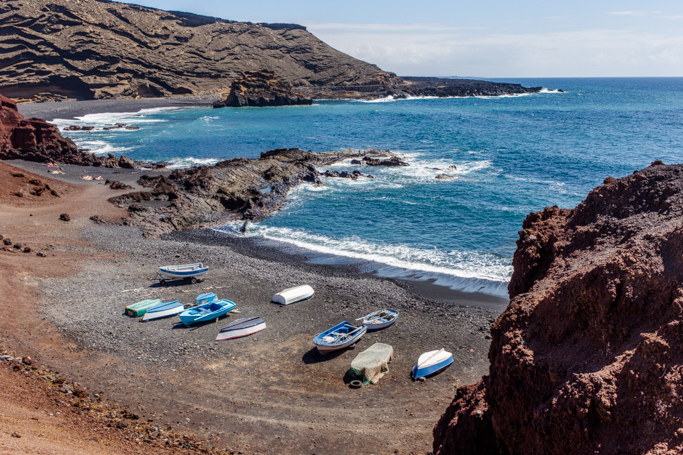 Lanzarote is abundant in fresh seafood from it's coats. 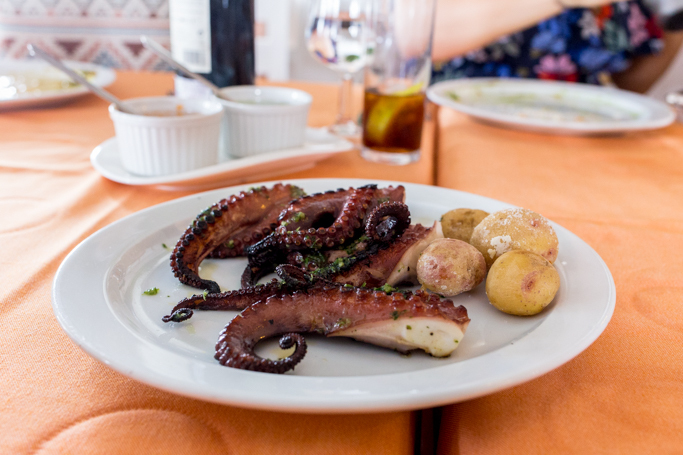 With Octopus, clams, muscles, and prawns, it's a feast for the taste of the sea. 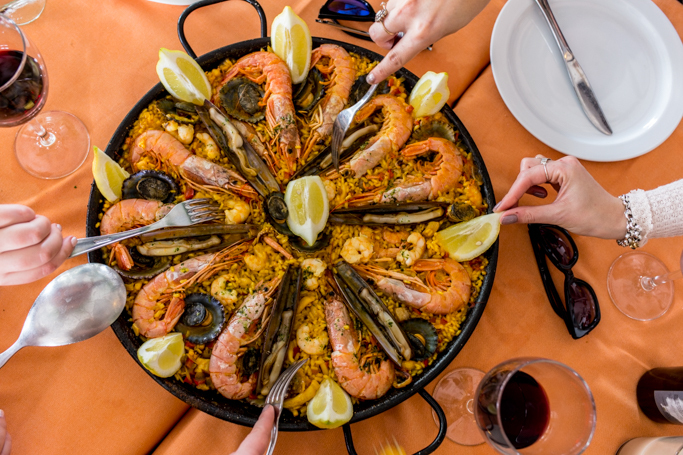 And no island lunch would be complete without paella right? After lunch we just took our sweet time by the coast, watching the waves lap the shore, and the seagulls circle. It's really not a bad way to spend an afternoon. 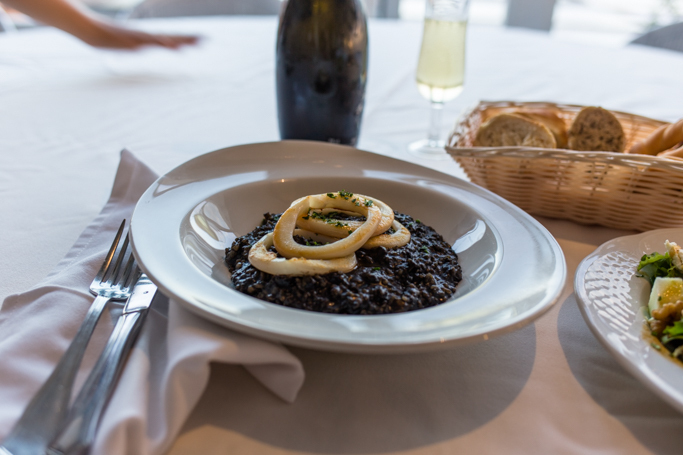 Maybe a glass of Vino in hand too? Now remember the first shots of baron dusty lands? Well follow them and they lead to the most blue coloured sea, worthy of any tropical island. 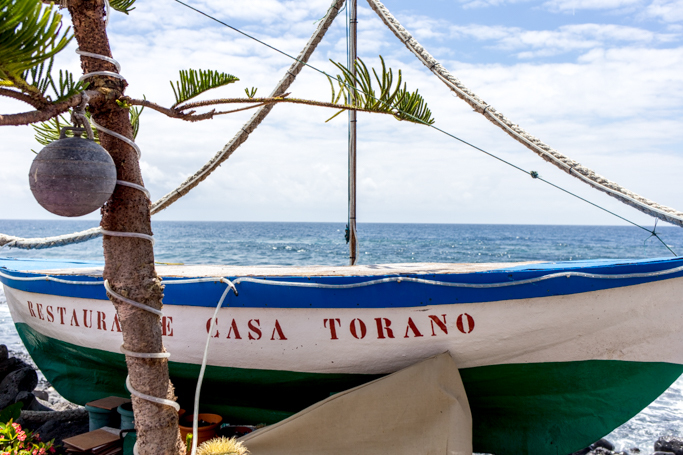 Rich hues, lap the shore, with little fishing boats dotted around, showing a peaceful, slow pace of life, which is utterly appealing. The contrast between ash and rock, and crisp blue waters is so bizzare. My Instagram was such a strange mix it didn't look real. One moment it looks like Life on Mars and the next I'm nestled in between palm trees. 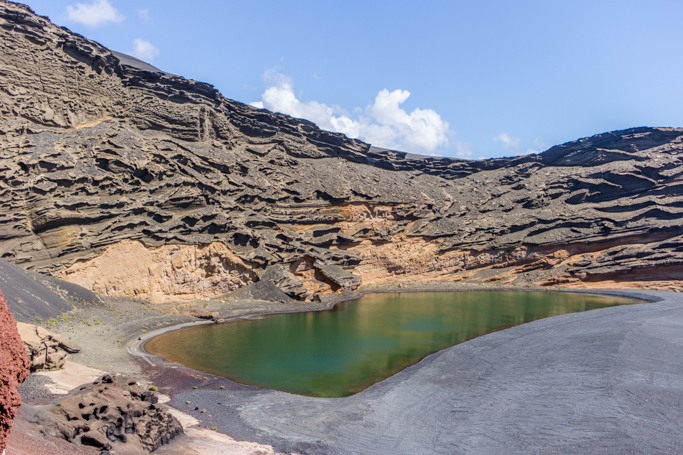 Lanzarote is a island of contrasts and keeps you guessing all the time about what's around the corner. See I told you? Rocky mountain and then cute white wash walls. There is a little bit of everything here. We continued to explore at a leisurely pace the surrounding towns. 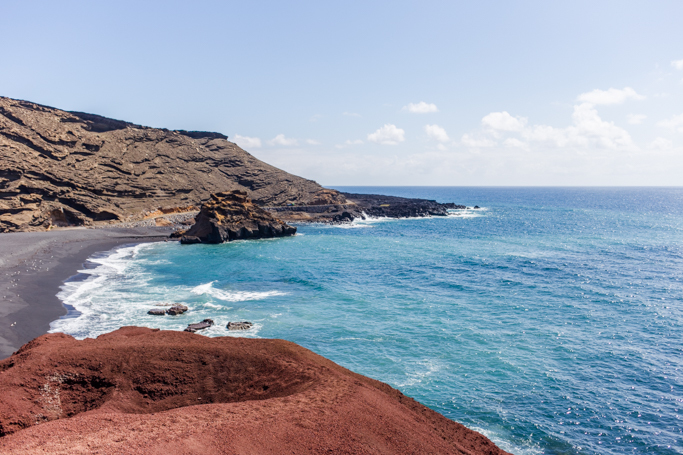 Ducking in and out of little shops, running along the rocky beaches and gazing out across this strange, red island. 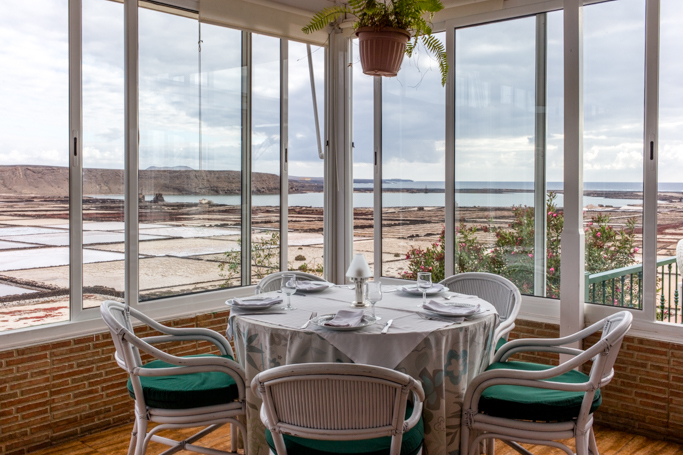 Finally we ended the day at Mirador las Salina, a cute little restaurant I highly recommend. 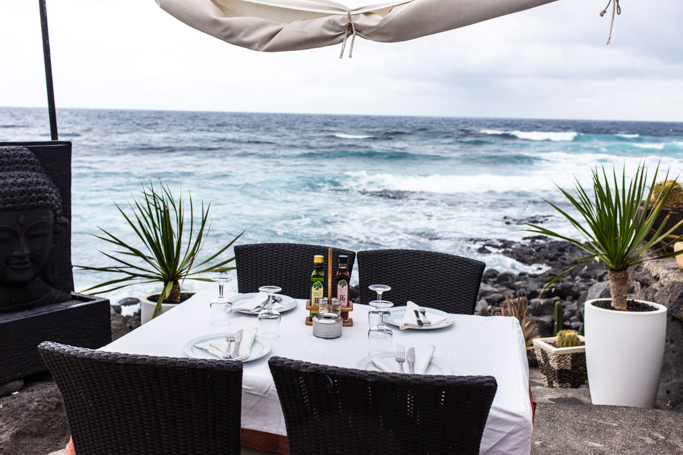 Grab yourself a window seat and settle in with some seafood and watch the sun set go down over the sea. 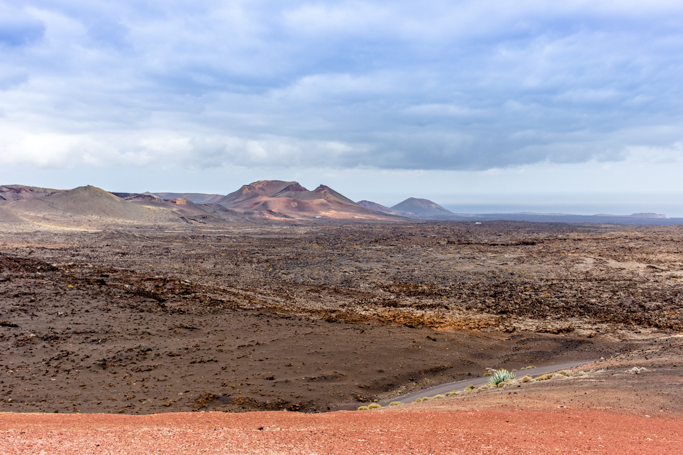 Lanzarote is such a unique, almost a little strange sort of place. Contrasting, mysterious and I do feel very misunderstood. 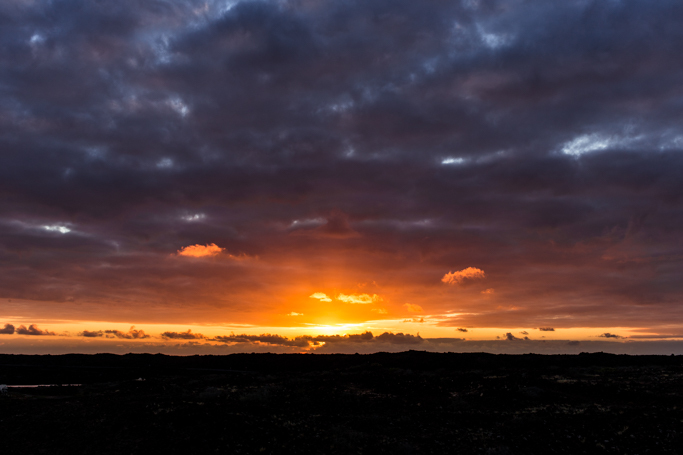 But watching the sunset go down, I was excited to discover what else this Mars like island has to offer. Till the next post. 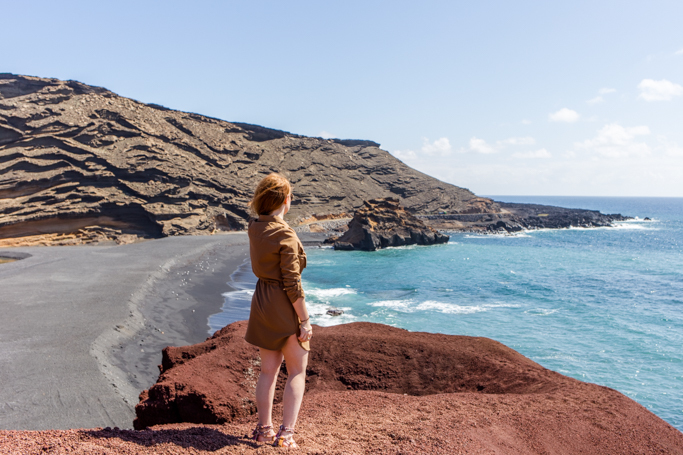 I've never been to Lanzarote (even though I'm Spanish... shame on me) but I've always been intrigued! Looks like a fab trip, your Instagram pictures were making me insanely jealous!! 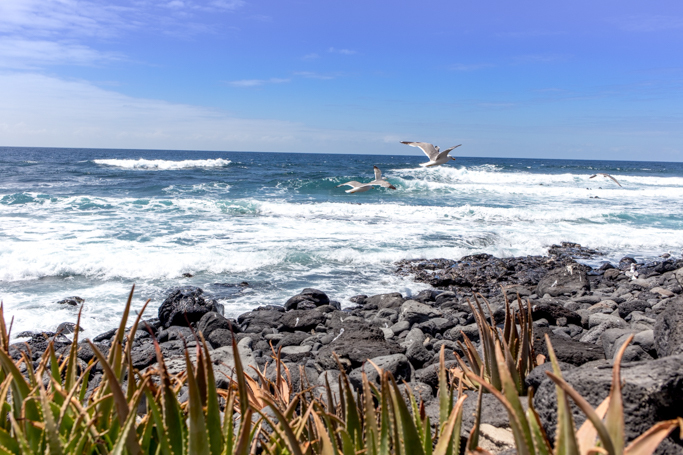 I love the Canaries - can't wait to hop over for some winter sun early next year (we're Gran Canaria fans).